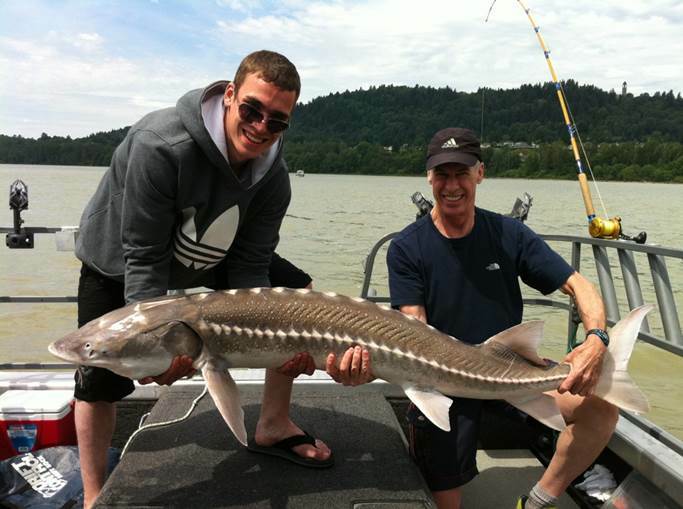 It’s been a good week for fishing in the Vancouver/Fraser Valley area, we did well for Sturgeon, Salmon & our first trip of the year over at Quatsino Sound for Salmon and Halibut went really well with some great catches. 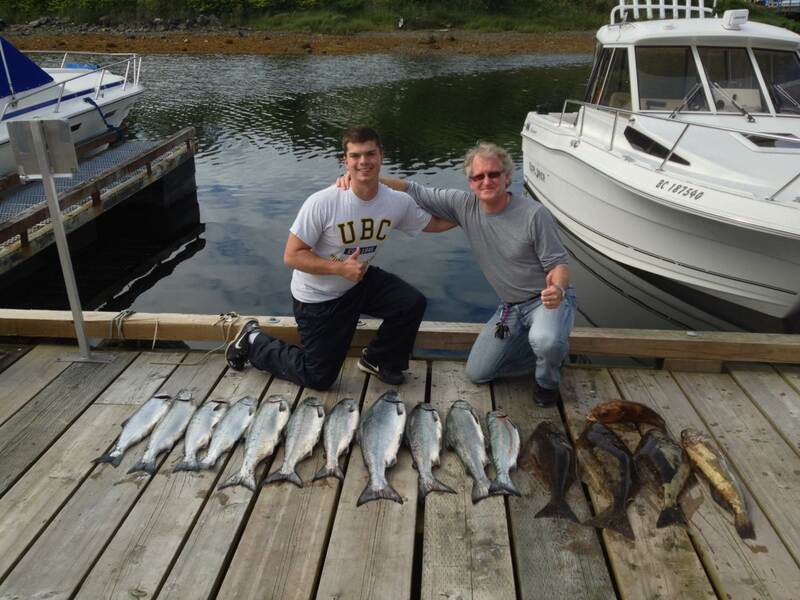 Some nice Chinook, Coho, Halibut & Ling Cod over at Whales Reach Lodge this past weekend. West Coast Salmon and Halibut fishing was excellent this past weekend, our first trip of the season was completed and we are happy with the results. Grant is now over at the lodge full time so if you are looking to do a day trip or weekend getaway, let us know and we can hook you up with some great fishing. We will be moving our 28ft Kingfisher over to the lodge in early July so we will have 2 boats ready to go. We still have some space for 3rd week in July if you are looking for some great fishing. 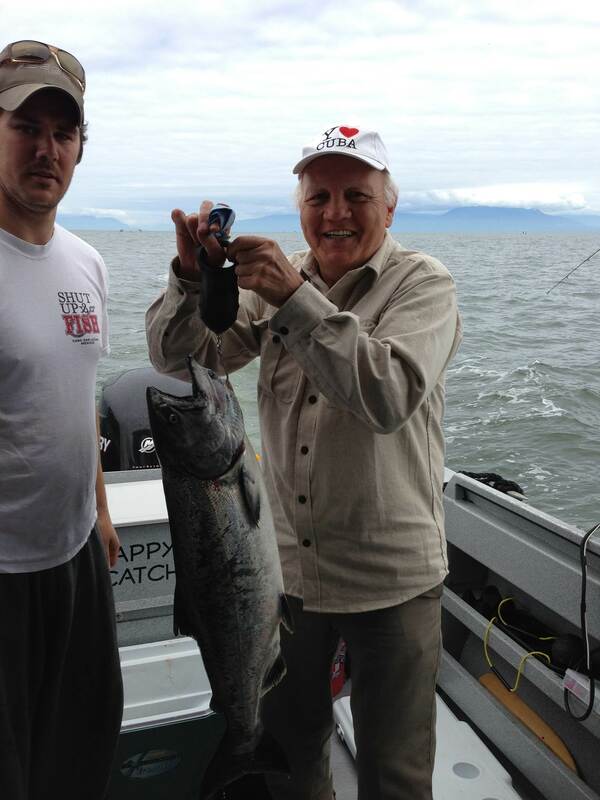 17 lb Chinook caught at Thrasher Rock this past weekend, some nice Coho as well. Vancouver Salmon fishing was good this weekend with some nice Coho and Chinook being caught. Most of our fish were taken over at Thrasher Rock trolling with flasher and spoons. 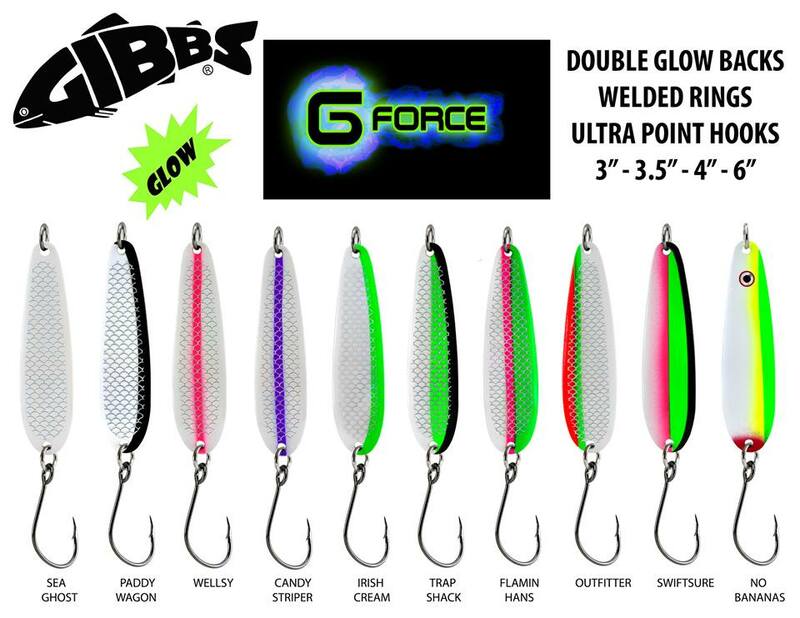 We really like the new Gibbs G-Force Spoons, lots of great colors to choose from, we are running 6 to 7 ft leader with 40 lb test. Fraser Sturgeon fishing has been fair to good, some nice fish in the 4 to 6 ft range caught this week and we heard of a few larger ones as well. I fished one day down in the lower river between Mapler Ridge and Surrey and did quite well landing 5 fish in just 5 hours of fishing. Most of our fish have been caught using Eulichon but we also caught a few on lamprey and salmon eggs. We are expecting rain for most of this week but that should keep the wind down and make for calm seas for our Gulf Island Salmon trips. If you are looking for salmon this is your best bet if you don’t have time to take a few days and head over to the Island. Locally the Fraser will no open for salmon fishing until July 16 and even then i am not sure how good it will be. 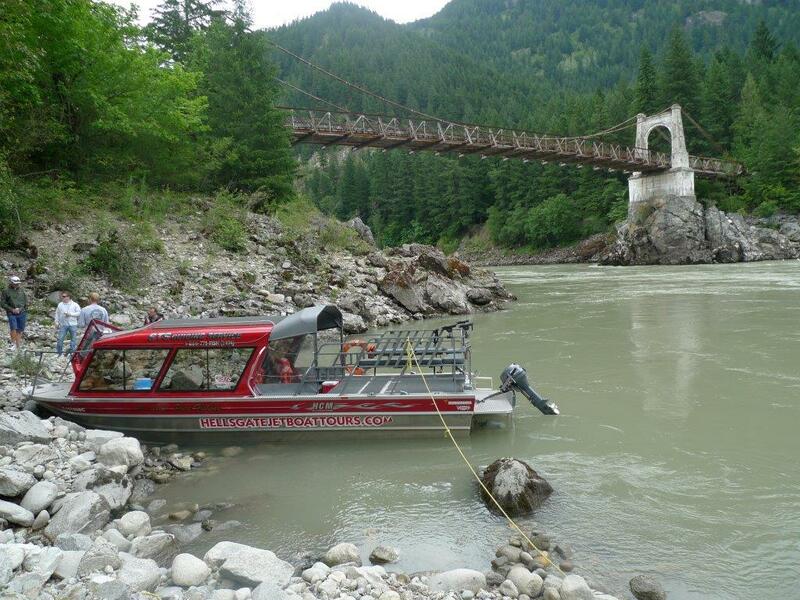 Our canyon fishing trips are now being sold, we are very busy for August but still have a few weekday dates available. We still have some seats available for our Hope to Hells Gate Trips for July 27,28, August 3 & 6, we are also offering afternoon trips to Sailor Bar, please call or e-mail us for more information.